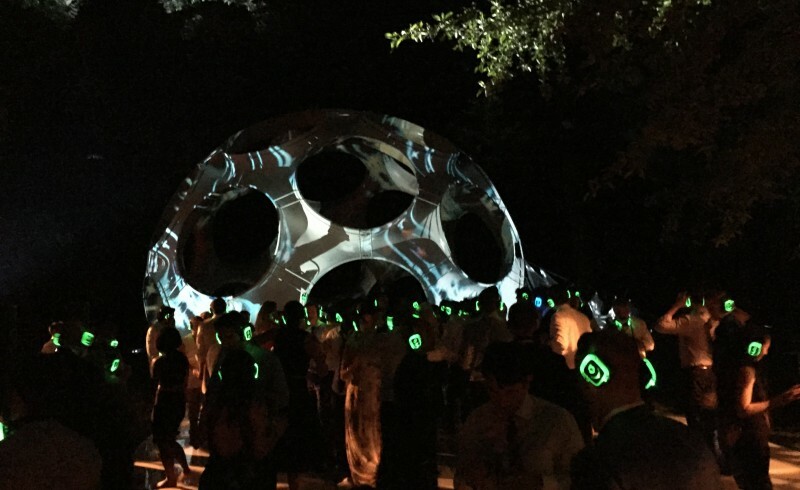 Epic silent disco thanks to Quiet Events underway in front of Buckminster Fuller’s Fly’s Eye Dome at LongHouse Reserve. The perfect solution to East Hampton town’s 11pm cut off for amplified music outdoors. Say hello to the Bosco Booth. 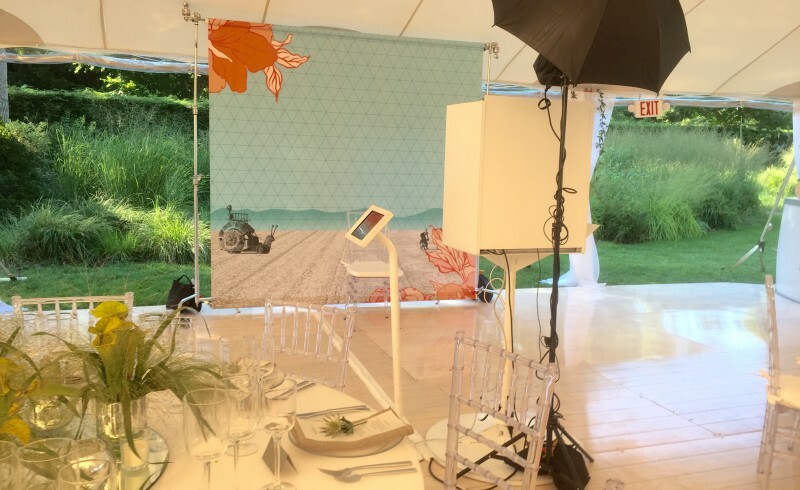 A custom designed photo backdrop inspired by our bride and groom’s love for Burning Man. Ready to great guests and provide some entertainment tonight! 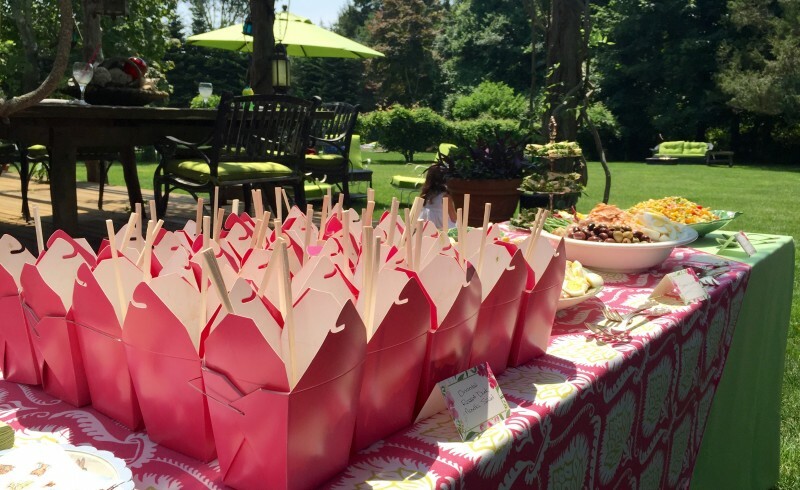 Tables set for tonight’s Rehearsal Dinner at a private residence in Southampton. 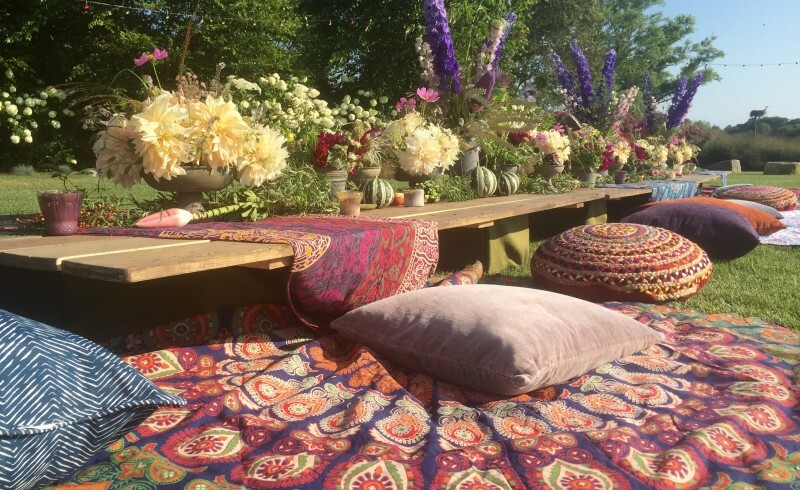 It doesn’t get better than this low bohemian style table. Bravo Pennington Flowers! 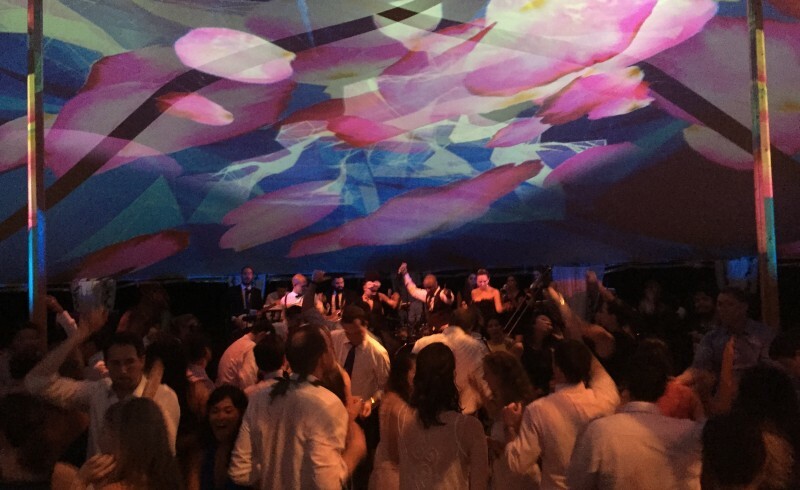 Thank you for helping us to create the perfect backdrop to kick off a great wedding weekend. We just love the addition of floral rings in any pool. 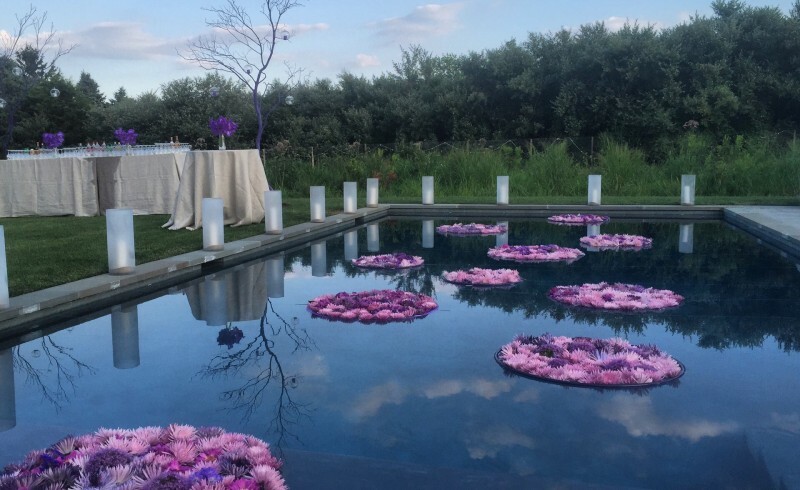 These beautiful purple ones were created by Pennington Flowers for a D+VD birthday party at a private residence in Bridgehamptons last evening. 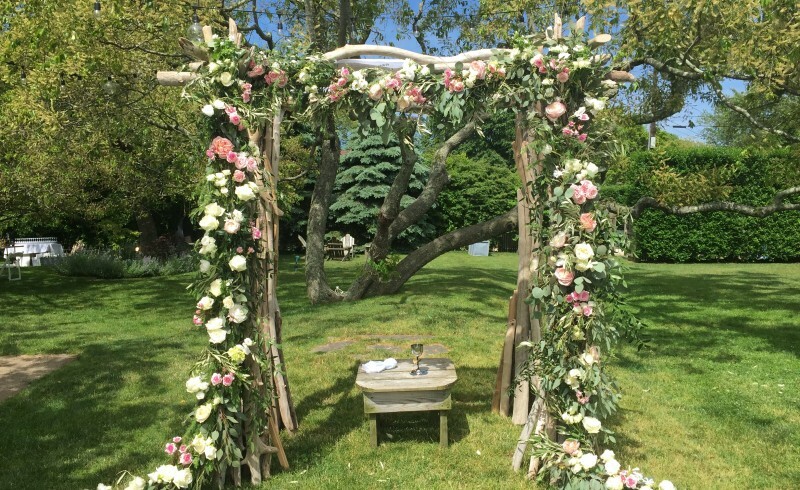 Sneak peak at the GORGEOUS chuppah that Karen Lenahan designed for yesterday’s Sole East wedding. Was even more stunning in person and fit perfectly with the casual vibe of this venue. 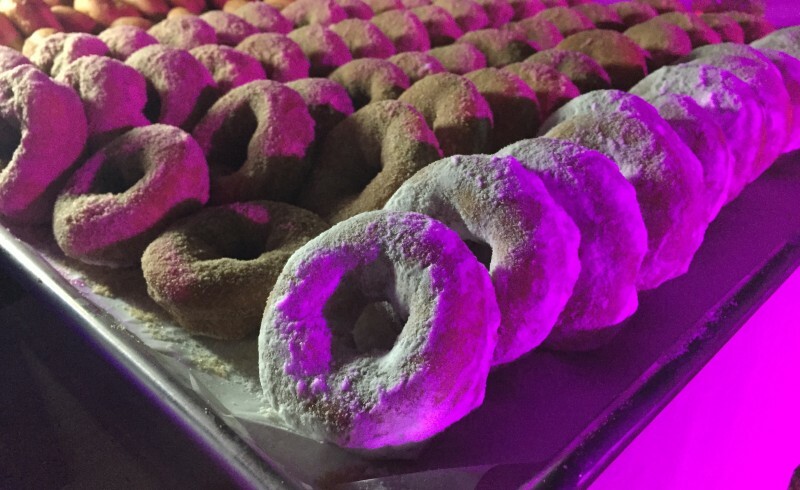 If you have spent time in the Hamptons, you probably already know how amazing Dreesen’s donuts are. The smell alone is to die for. At the end of a wedding, they are absolute perfection. The only problem is that one is not nearly enough. Luckily nobody was keeping count at our wedding last weekend. 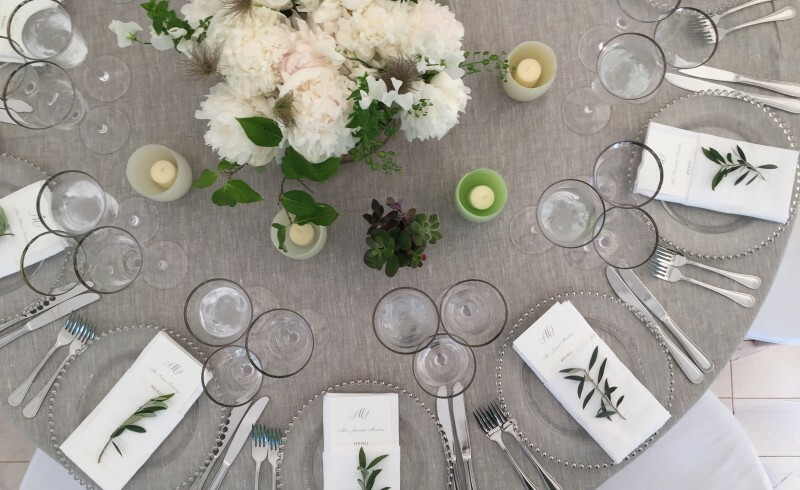 Absolutely loved the addition of Glassybaby votives to last night’s tablescape. The votives come in every color you can imagine. Wait til you see how they looked on our tequila bar! We love the invitation suite and printed details from our Sole East wedding last weekend. Ipanema Press did it again. 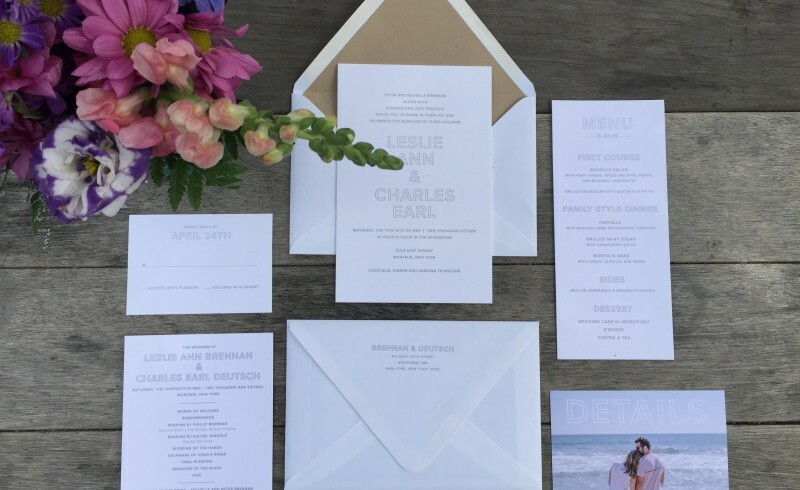 Perfectly simple and just right for a laid back couple getting married in Montauk. © 2015 Duke + Van Deusen. All rights reserved.